View from the dining room balcony of the lovely house next door scheduled to be auctioned on April 22nd. When Bob explained the house next door was scheduled for auction, we were excited at the prospect of attending the auction after having an opportunity to walk through to view its many fine features. Another story idea was born right before our eyes and we were anxious to share it with our worldwide readers. This second-floor veranda provides expansive views of the bay with plenty of space for entertaining and lounging. Yesterday, when we arrived for the viewing at 11:30 am were surprised to discover the date for the auction for the house, named "Windemere" had changed to April 22nd, the day we'll sail away. In any case, we were thrilled to be able to participate in the open-to-the-public viewing. View from the house for sale to Bob's home next door. Sliding doors to our apartment are shown on ground level. View from the veranda as shown above. Prospective bidders must have been pre-approved by their bank or lending institution confirming they are in fact qualified to make the purchase should they win the auction. The spacious lounge/living room has rich wood finishes and fireplace. Auctions for real estate have been popular throughout the world for centuries and have grown in popularity over the past several years as economic conditions have faltered, seriously impacting real estate values. Alternate casual dining and lounge area. During the worst of times during the real estate crash, most likely home values in this area may have fallen as was the case in most parts of the world. However, based on today's pricing in Australia, values have more than fully recovered to the point where pricing is as high as we've seen anywhere in the world. Formal dining room walks out to a balcony. The listing agent, Eddy Piddington explained its expected the house will sell from AU $3,500,000, US $2,625,700 to AU $4,000,000, US $3,000,800. It will be interesting to hear the results of the auction should it sell on the upcoming scheduled date. The kitchen has newer high-end appliances and sealed wood counter tops. When we entered the house with Bob and a couple of his friends, we were warmly welcomed by the attending real estate agents. Bob had prepared us for the estimated value based on the value of his home which is of comparable size with similar views and amenities. We wondered why the date of the auction had changed from yesterday to April 22nd surmising there may not have been sufficient buyers prepared at this early date. Rescheduling for a later date would provide sufficient time to roust up a few more bidders. The kitchen's ample eat-in dining space. Of course in the interim, the property, located at 55 Upper Clifford Avenue is listed on the market through Clarke & Humel real estate company which may be reached here at this link. The listing agent, Eddy Piddington may be reached via this link or contacted at 02 9977 3300 (office phone). The master bedroom with excellent bay views has a step-down walk-in closet. We were surprised to find as many "lookers" as individuals and groups large and small wandered through the property. As we always said in real estate, there was never a shortage of "lookie loos" with no intention of bidding or making an offer. They may consist of neighbors, curious tourists, and locals. View from second of four bedroom windows. For us, we may fall into the category of all of the above but our real intent was to share this information with our readers. Who knows? Perhaps, there's a buyer out there in cyberspace who may discover this is their dream home. The house includes four bedrooms, this as shown as the smallest. From time to time we include real estate information for those of our readers who may be curious as to markets in other parts of the world or in some cases, in their own neighborhoods. Pretty antique style chandelier, one of several throughout the home. We found this excellent video for the property which tells the story in more detail than we can possibly illustrate here. Please click this link to see the well-presented video. As time quickly winds down toward our departure date, we enjoying every moment in this lovely area and part of the world. Australia has so much to offer and we feel very fortunate to have had the opportunity to experience many aspects of this fine country. Have a fabulous weekend day, wherever you may be. 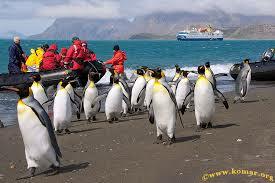 Not our photo, but not unlike the experience we hope to have on our booked cruise to Antarctica in only nine months. The cruise was booking up so fast on the day it was posted, we decided to book this far ahead, one year ago today. For more details, please click here.